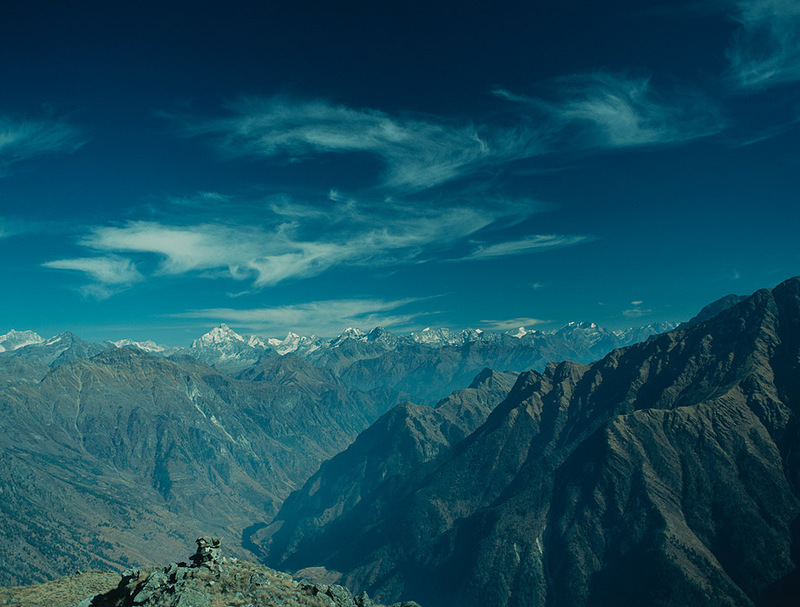 A view south-east across the Humla Karnali valley from this spur on the climb to the Sankha Lagna pass. Taken on a fine December day! Medium format images re-scanned in a professional glass film- holder with my Nikon Coolscan 9000 and Silverfast 8 software. These images display larger on the site - enjoy!